A woman who has been having candida, hormonal imbalance, and high blood sugar health problems, get amazing results after changing the diet for 12 days, with only eat bananas. Are you curious about the benefits she got from bananas? Check out the following story adapted from stethnews.com. But first, we will refresh our memories about the bananas. Bananas are one of the most widely consumed fruit in the world. Yellow fruit that has a curved shape, has a myriad of nutritional content and health benefits. Bananas are rich in minerals such as potassium, magnesium, iron, calcium, as well as serotonin, which is active as a neurotransmitter in the smooth functioning of the brain. 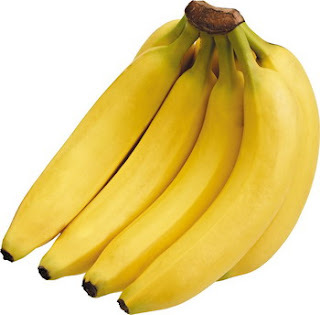 Bananas are also rich in carbohydrates, bananas also contain potassium, vitamin C and B6, which can help the body keep a backup of calcium, nitrogen, and phosphorus. And serves to build tissue regeneration. Not surprisingly, if pregnant women are advised to eat lots of bananas. It is caused by folic acid and potassium contained in it, will help the development of the fetus. To read more information, read at banana nutrition facts post. Because of the many benefits and nutrients found in bananas, this woman then decided to experiment with eating only bananas for 12 days. This woman named Yulia Tarbath, she did this experiment with her husband, Paul Tarbath. Yulia and Paul Tarbath is a holistic health consultant from London, vegan practitioners, and they both now live in Bali. The experiment was conducted in addition to maintaining weight, also for detoxification. One thing that Yulia felt for the first time when running this diet is, her digestion getting better and smoothly. Abdominal pain that is often experienced is also missing. She also felt more calm and relaxed so that more focused in carrying out activities and become more creative. As we have mentioned above, before doing this experiment, Yulia often complain of high blood sugar levels. She was also suffering from candida and hormonal imbalances that cause difficulty conceiving. All these complaints disappear after undergoing detox called mono-fruiting. Now, Yulia has become the mother of a son. Even so, a single fruit diet like this, it is not recommended to be done by everyone, and not in the long term. Running the same diet conducted by Yulia, potentially causing malnutrition because you only get nutrients from the one food source. To apply a single fruit diet, you also have to measure your health condition first. Are you really strong and in great shape fit? Weight loss is a very drastic even often cause various health problems. So before deciding to try the same thing, you better consult with a nutritionist or doctor first.